If you rally around the call of “All the Pumpkin Things!” then do we have the list for you. Everyone’s favorite fall squash, eaten 15 different ways. 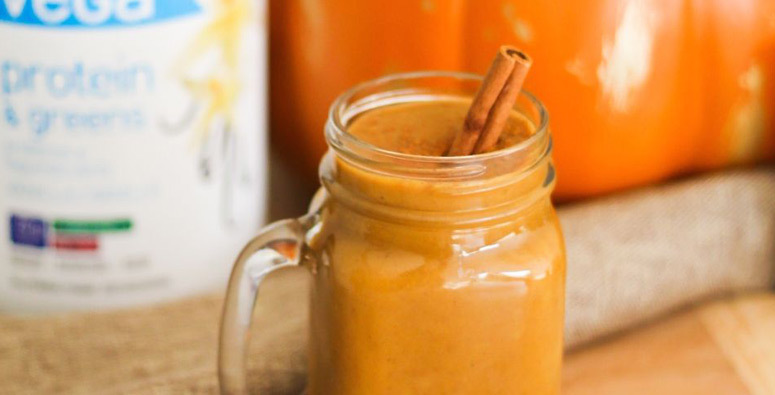 Smooth, creamy, and with over 20g of protein, we’ll eat pumpkin pie practically every day this October with this delicious smoothie. Chai naturally makes us want to cozy up next to a warm fire. Add pumpkin spice and we’ll be glued there. Pump(kin) up your smoothie with pumpkin purée and an arsenal of delicious seeds and spices for a truly autumn-inspired smoothie. Refuel post-workout with these protein pancakes, in a delicious fall flavor. Baked. Gluten-free. Delicious. Need we say more? Spread it on toast, French toast, pancakes, PB sandwiches and more! 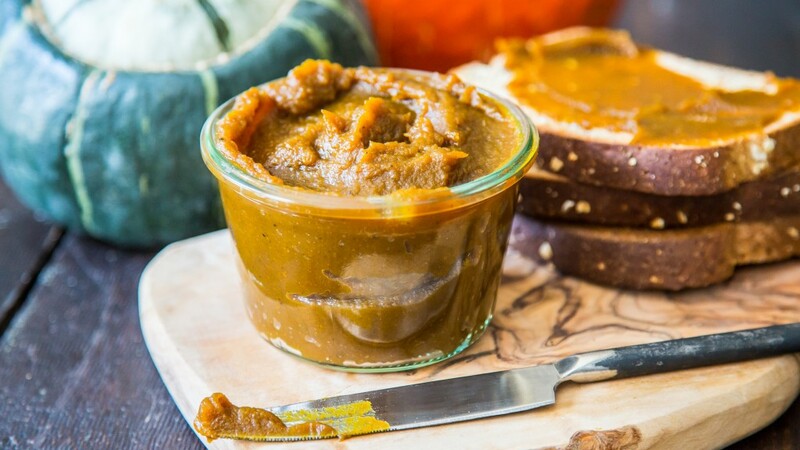 Start your slow cooker on a fall weekend and enjoy this pumpkin maple butter for the rest of the winter. Put your kitchen to work while you sleep. When you awake there will be warm, nourishing pumpkin spice oatmeal waiting for you! Pumpkin doesn’t just have to be sweet. Cubed into a chili, and cooked in the slow cooker, this makes for an easy weeknight meal. Gnocci may look complicated, but it surprisingly easy to make. You can even get the entire family involved! Better than a brownie, or anything found in your local coffee shop, pumpkin spice makes this our favorite blondie out there. 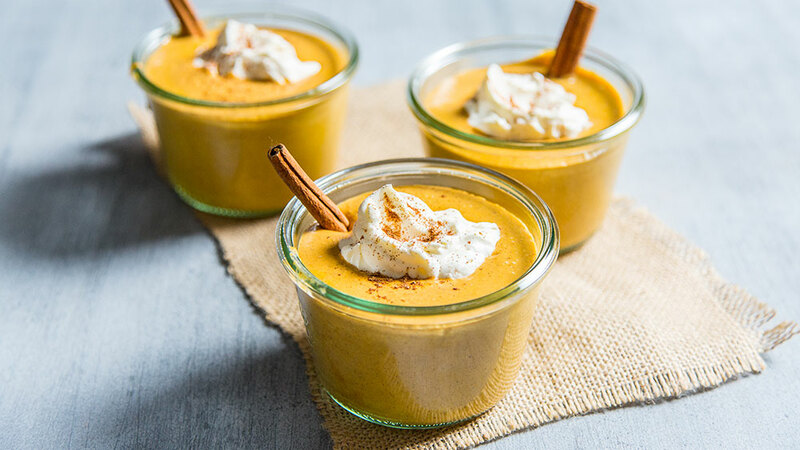 This divine vegan pumpkin pudding parfait with cashew whipped cream is the perfect recipe to tempt your taste buds into accepting that fall has finally arrived. This recipe makes 8 servings so be sure to share it with friends at your next get-together. 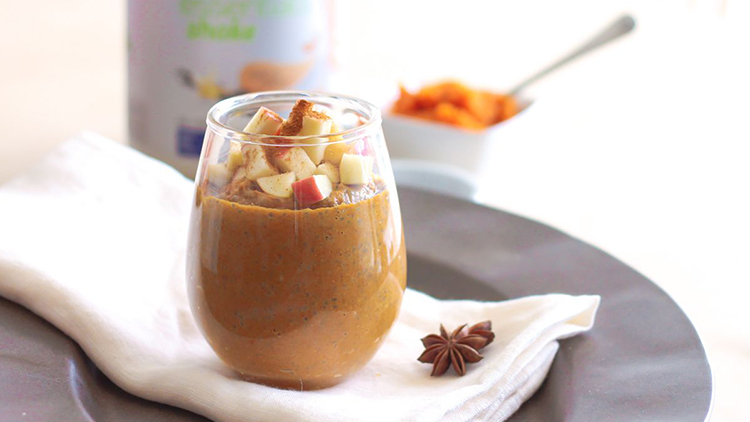 A pumpkin gingerbread chia pudding with a festive flair. Add in Vega One Vanilla Chai to take flavor and nutritional value of this chia pudding to the next level. Silky, sweet, and lightly spiced, this fall-inspired twist on chia pudding could easily become your new favorite breakfast or take-to-work snack. Using Vega Maca Chocolate or a regular dark chocolate bar, these pumpkin bars are a hit at any fall party. If you’d like to DIY your Halloween candy, these pumpkin caramels will make an extra special treat for any trick-or-treaters.